There are nine outstanding Rotary Exchange Students in Rotary District 9940, covering the lower half of the North Island, for this Rotary year. They come from as far afield as Chile, the United States, France, Italy, Finland, Germany and Austria. Our own International Youth Exchange Student, Jessica comes from Switzerland. Jessica says: 'Going on exchange has definitely changed my life in a way I am not ready to understand yet. I learnt a lot about myself and other people and from the moment I touched New Zealand soil my personal history was linked to this land. I love being here to explore the Kiwi way of life with all its friendly people around me'. We have a very wide range of talented athletes, swimmers, a violinist, saxophonist, and a trumpet player who have become a close group of friends. Malcolm won the New Zealand rock-climbing championships in the South Island, Diego won his country's representation for ‘MUN’ and squeezed in a visit to Shanghai to compete in the Pan Asia Model United Nations, PAMUN. 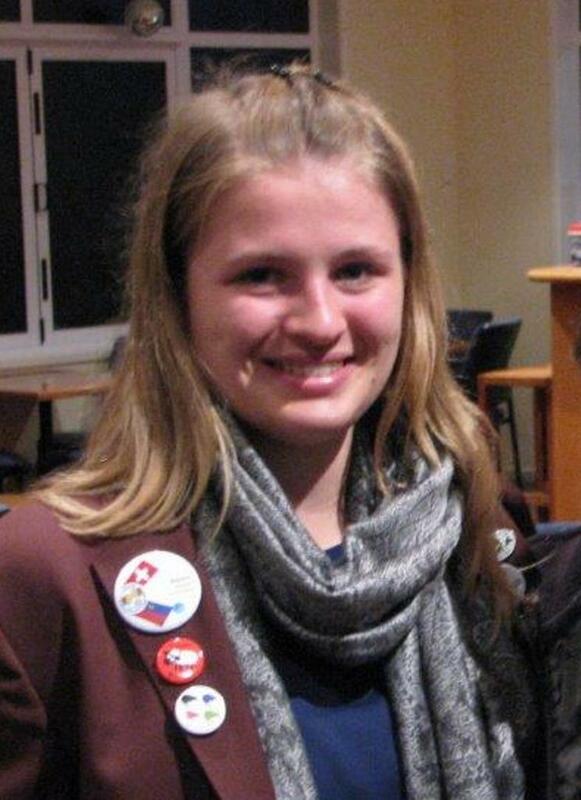 Jessica won a part of the First Lego League World finals in St. Louis USA when she was 15. 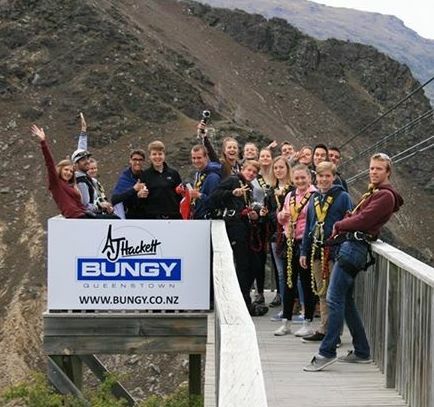 Some of the things these overseas students rate highly in New Zealand is staying with Kiwi families and being included in family experiences. Some have enjoyed the rural life, some prefer the inner city but all have raved about the experiences Rotary have organised - an overnight stay on a Marae, attending Rotary meetings, being involved in Rotary projects, and the experiences they gained in touring the South Island together while their classmates sat NZCEA. In the meantime many are continuing with their studies from their own country and trying to keep up with exams in their first language. When our club asks for host families or mentors for incoming students, do offer your home and family for a school term. At Plimmerton Rotary, it is part of our Club’s Rotary International goals. If you are interested, please email Donna Gemaries or give her a ring on 021 362 802. This is one of Rotary’s flagship programmes. Incoming host families also need to be selected at the beginning of March. The Rotary International Youth Exchange programme is reciprocal. It is the District Committee's responsibility to make sure that our kiwi students are at a matched host exchange Rotary Club who have had a Rotary International Audit and can produce evidence of following Rotary procedures. It is for this reason that we ask all our own host family members over the age of 18 to become Rotary Police vetted. At the moment this is still without cost so leap in to get yours completed as soon as possible. Original generation time 1.5669 seconds. Cache Loaded in: 0.0005 seconds.